In a fellowship hall in a rural Hill County town, a young seminary student and his wife waited nervously. They were meeting with the Pastor Search Committee of a church about the possibility of becoming the pastor, which would be this young man's first ministerial position. He had been seeking to follow the Lord's call since he was just a boy of nine, and this could be the beginning. After a lunch of homemade fried chicken, the committee got down to business. The very first question from the committee was not directed to the seminary student, but to his wife. "Do you play the piano?," they asked. Sadly, she answered "No," certain she had ruined the whole thing. That is the story of my beginning as a pastor's wife. Certainly our role in life is unique! And to address our unique circumstances, situations, needs, duties, expectations and the many hats we wear, I am pleased to announce another new beginning. Texas Baptists will be publishing a blog just for you, written by minister's spouses.You can find the blog here at txb.life. We hope to address topics of interest to you, and to celebrate the "realness" of the minister's spouse. We are real people on our own, in addition to being married to the minister. The blog will be published twice a month. You will hear from young moms, empty nesters, those just starting out and those with years of experience, people who are rejoicing and people who are hurting, the lonely and the overwhelmed, those with spiritual insight, those who are seeking their place in the fellowship... and all of those are US! Thank you Lord, for calling us and using us as you made us, to do the work of your Church! Everybody likes a happy ending, so let me tell you we did go to that church, and they were so loving and gracious to two young people who had so much to learn! We will never forget the gentle ways they taught us and led us along, all the while letting the new pastor lead them. Did we make mistakes? Sure. Did we grow? Yes. They voted for almost all our ideas and built our confidence. And when we left, they called another young seminary student, and started their ministry all over again. And another happy ending - one of the church members was a wonderful pianist! So I'm not sure why they asked me that question in the first place! Kathleen recently retired from her career as a teacher in public schools. 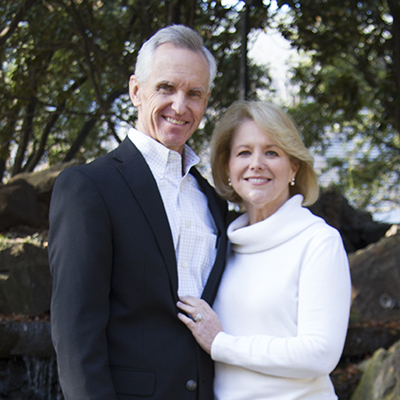 She and David have been in the ministry since 1981, and she loves the life. Kathleen and David have two children, John and Rebekah, daughter-in-law Melissa, and granddaughter Anne Marie. They are a family of sports fans. Kathleen also loves history, reading and teaching in a weekly Bible study.